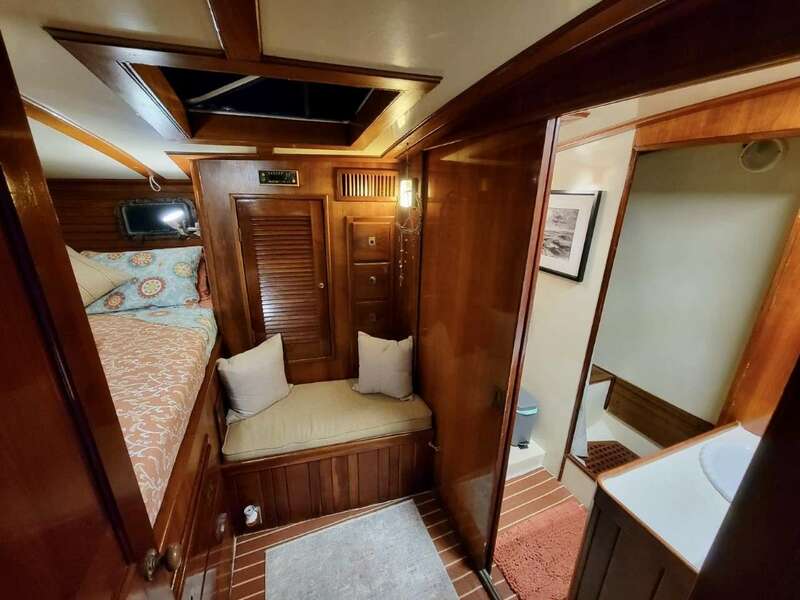 (1) Queen midship port master cabin has a private ensuite head and stall shower. (1) Queen forward V-berth has ensuite vanity and shares head with twin bunk cabin below. (1) Twin cabin with upper lower berths. 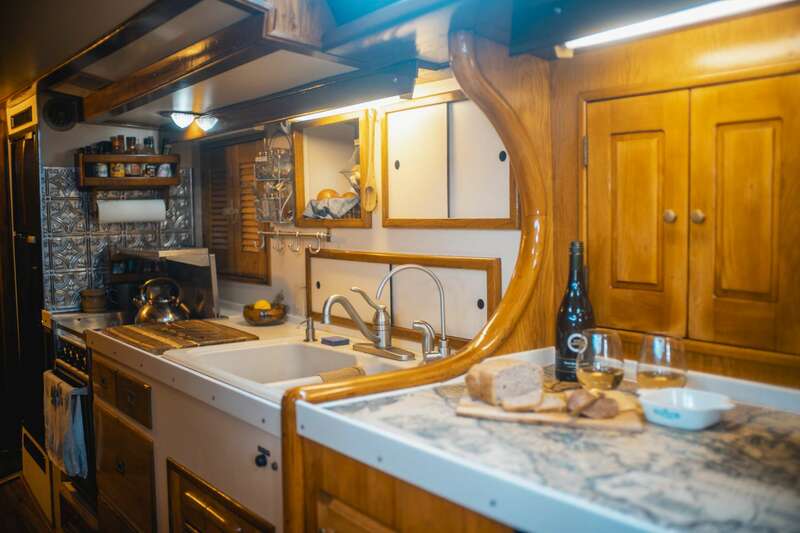 This cabin also has an ensuite vanity and shares head with Queen V-berth cabin above however it does have it's own vanity and sink in the cabin. Crew have separate aft crew cabin with head and storage area. 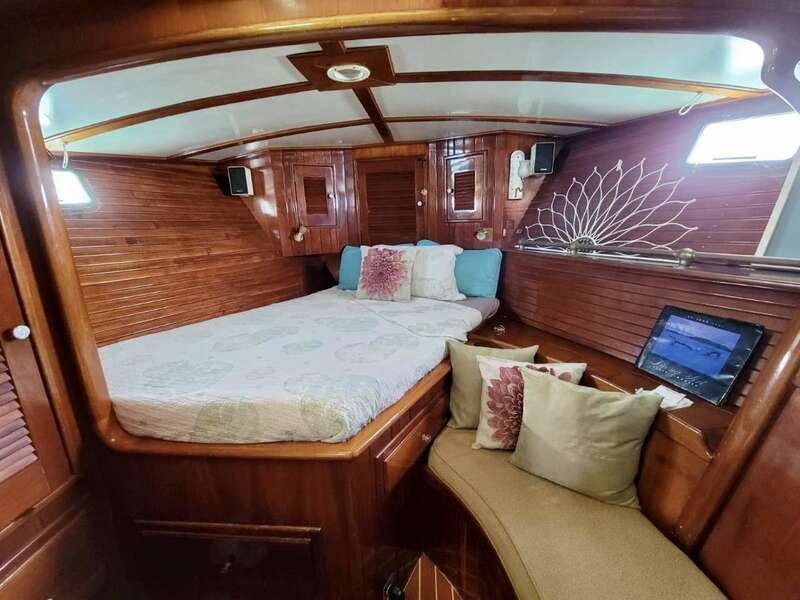 Yacht is fully air condition upon request, added $80 per night A/C fee. Yacht has hydraulic swim platform which lowers from the deck into the water for easy access for guests. <B><BIG><U>HALF-BOARD:</B></U></BIG> Includes: 7 breakfasts, 4 lunches & 3 dinners. Requires 3 lunches & 4 dinners ashore at client expense. <B><U><BIG>LOCAL FARE MEAL PLAN:</B></U></BIG> Includes: 7 breakfasts, 5 lunches & 6 dinners. Requires 2 lunches and 1 dinner ashore at client expense. 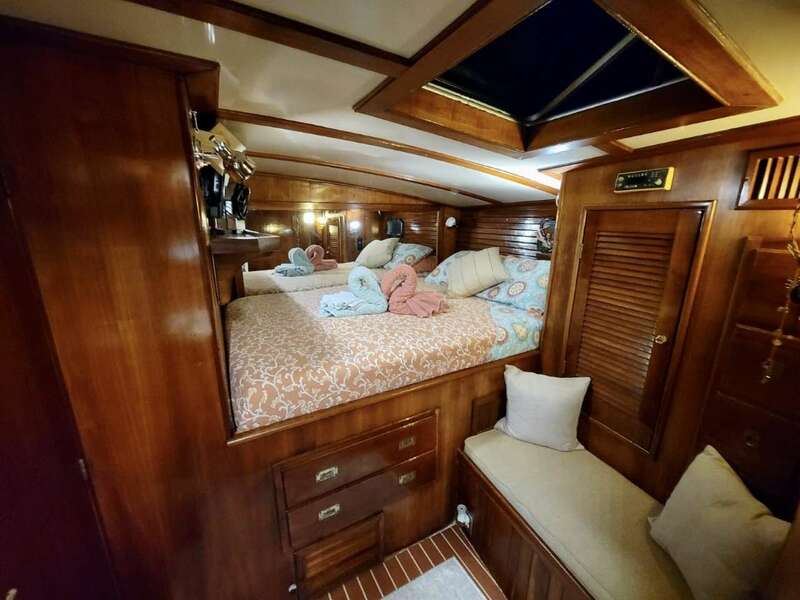 <B><U><BIG>SLEEP ABOARD:</U></B> </BIG> Sleep aboard the night before charter dates. 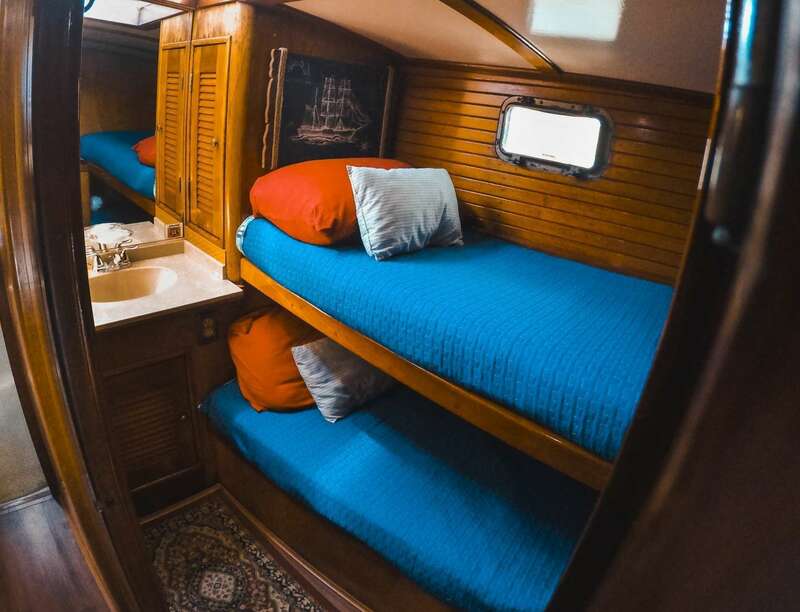 Available for $250 per cabin per night, with a 2 cabin minimum. Includes snacks, welcome cocktails & continental breakfast. Dinner is to be taken ashore at client expense. MINIMUM 6 nights of charter required. 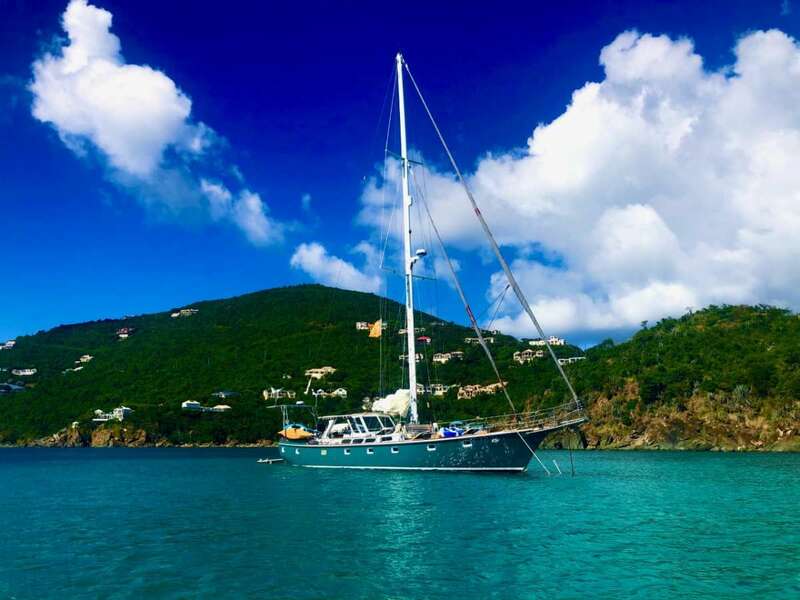 <B>KAI is offering a super deal on charters to take place completely in the USVI (no BVI ports). Onboard WIFI - check emails only, no streaming or uploading of photos please. Captain Name: Justin was born in Connecticut, a state saturated in oceanic history; but, if you ask him he will tell you he is from the ocean, “home is where the anchor drops.” Unlike most young American men, Justin was raised mainly by his seafaring grandparents and received an education whilst they sailed up and down the Eastern Coast of the United States. The world has been Justin’s oyster and he was privileged enough to have spent his youth in various countries and honed his captain’s education in a myriad of maritime schools. A skilled sailor, he received his master’s license at the juvenile age of only sixteen; he was unable to escape the call of the ocean. 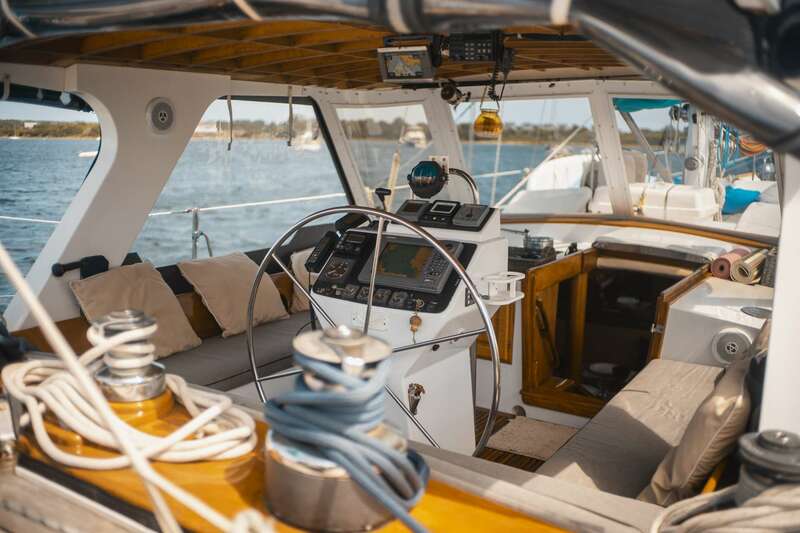 As a young man, Justin exhibited a passion not only to sail the seas, but also to rebuild classic boats. His first large project was the restoration of a classic fiberglass boat, a vessel which enabled him to start his adult maritime career. He sailed south towards not only the Caribbean, but onwards to a life of adventure and self-fulfillment. 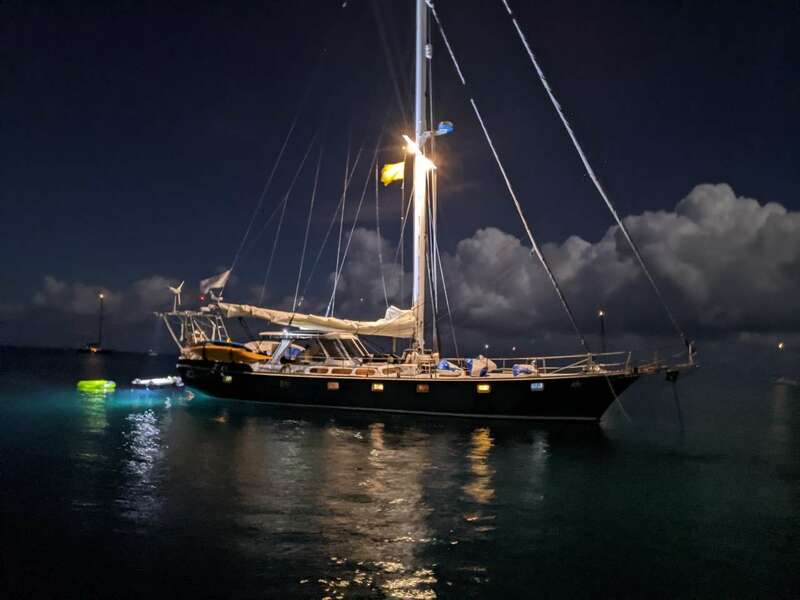 ​During his time in the Caribbean, Justin captained several yachts and began his profession in yacht charters. At this point in time, Justin has seven years experience in the charter business. 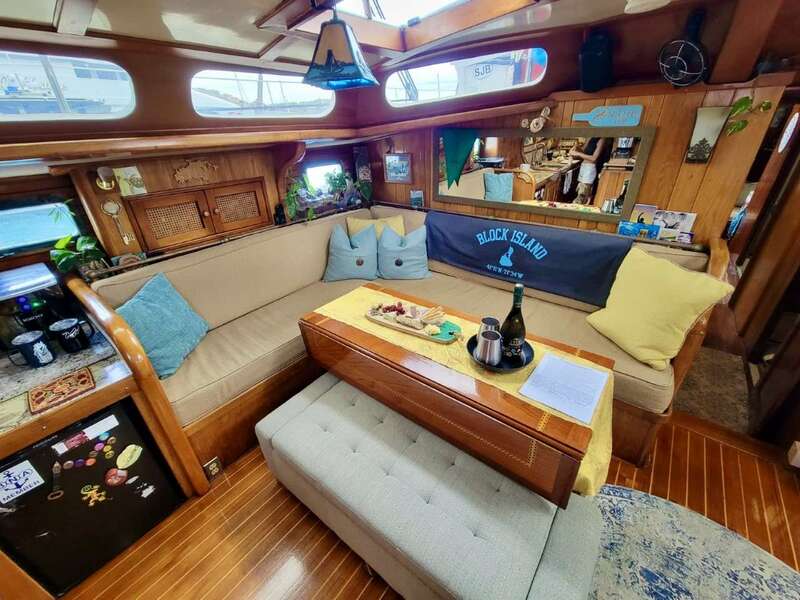 The love for his craft shows not only in his expertise of the seas, but also in riveting conversations with guests about boats, the ocean, and all things nautical! At the helm, Captain Justin likes to take his guests to off the beaten path locations, catch lobsters and makes fresh conch salads. 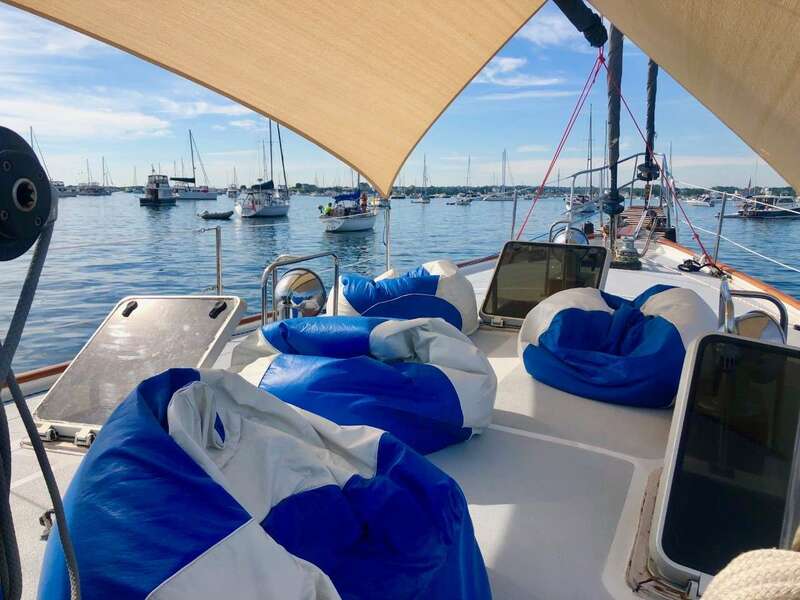 Come sail with Justin and explore the hidden treasures of the islands, he’ll show you a world traversed by only a few. Sarah is born and raised North Carolinian, but finds herself to be an island dweller now. 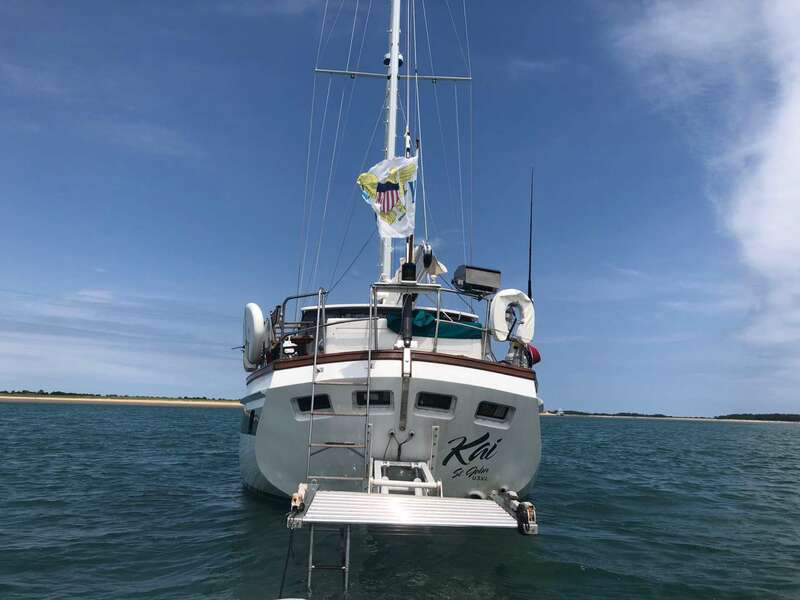 She has honed her seamanship and guide skills through various positions over the years, starting as a lifeguard, working her way through college in hospitality and transitioned into working with volunteers doing trail work all over the states in her mid 20's. Now her love for cooking, the ocean, exploring, and customer service has lead her into this unique position. 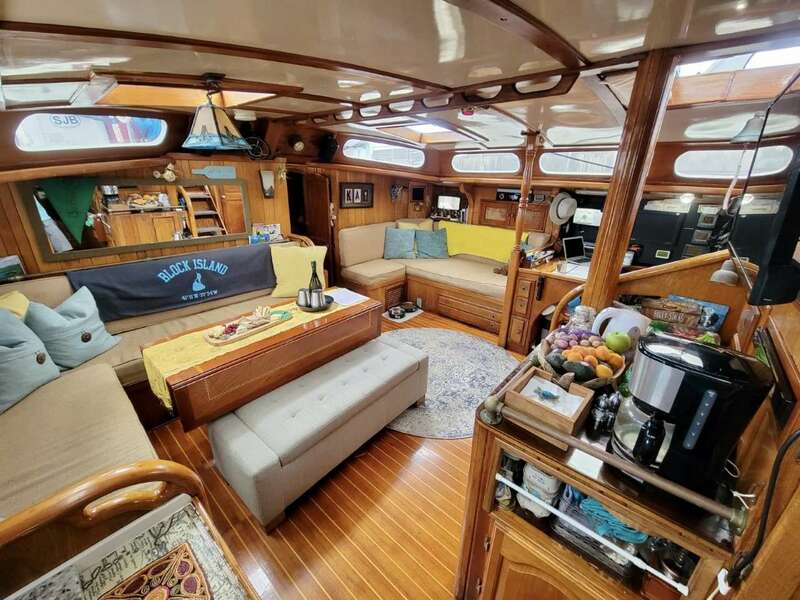 On charter, Sarah will surprise you with different kinds of homemade breads, unique appetizers and great meals that bring her southern roots to the table. Also, if you have a sweet tooth, there is no doubt she will curve that craving with delicious treats! 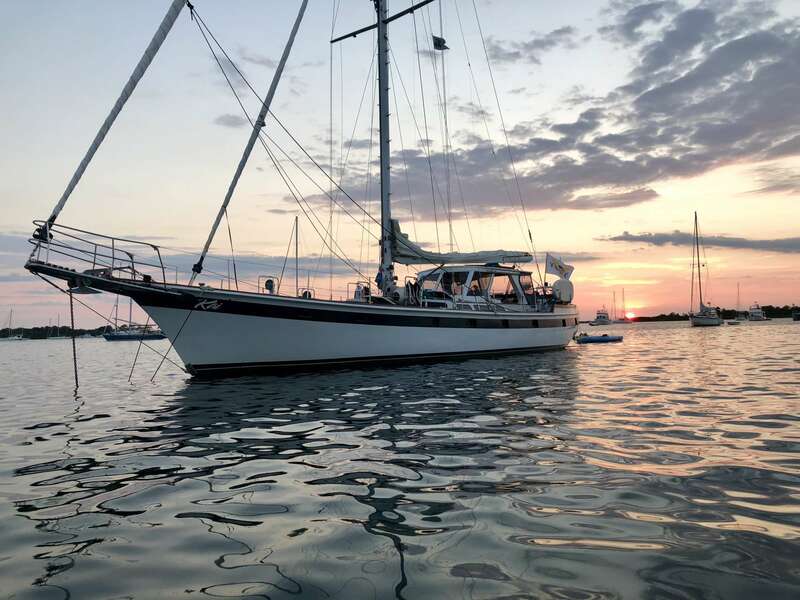 Her other passions in life range from hiking, rock climbing, diving, sailing, cliff jumping, surfing, traveling, or anything pertaining to the outdoors. 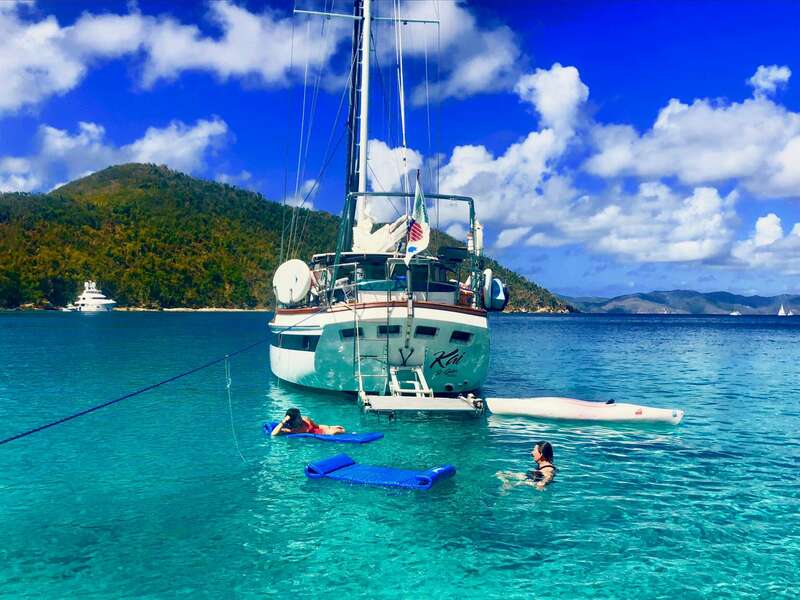 Abound with local knowledge about the flora, fauna, or underwater sea life, Sarah is sure to enhance all of your experiences. 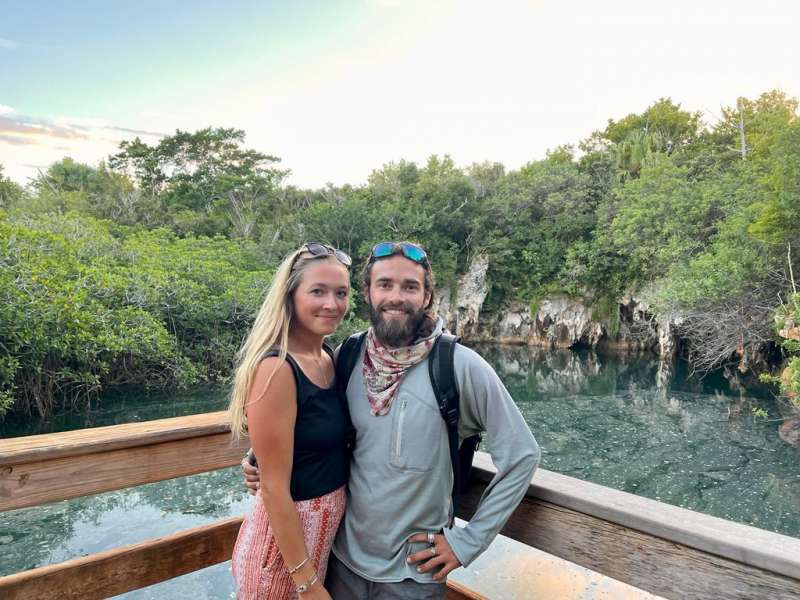 Together Justin and Sarah will make sure you leave the Caribbean with an experience of a lifetime. They will incorporate any activity whether it be beach lounging or taking a diving excursion!! Come let these two sail you, your family and friends into paradise!